With access to over 200 video, audio and PDF lessons, you'll learn from our expert trainers inside of VIM ELITE. No matter how smart you are or how brilliant or disruptive your business concept might be, every entrepreneur requires a transition, a pivot from what they’ve known to what can be. And the one thing that will assist you right away is a good mentor. We teach entrepreneurs and business owners how to grow their business so they can work less, make more and create the success they have always wanted. How does VIM ELITE work? 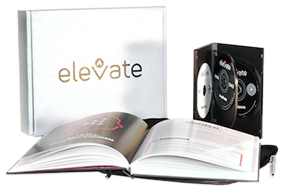 Following the prescribed formula, you'll be on your way to a better life and more profitable business. The VIM ELITE online academy is designed to turn your business into a force for good that fuels higher profits and your higher purpose. This 72-day program is designed to help spark self awareness so you can develop a more meaningful life. You’ll regain an inner feeling of comfort through establishing daily structures and a life plan. You’ll discover how to build crucial keys to business success, that will take you from idea to scale and forever change how you see your business and the impact you can leave on the world. 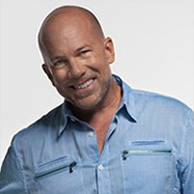 Brent grew a start-up personal development/direct sales company from 12 people to over $100 million dollars per year operating in over 130 countries around the globe. Linda took a small Continuing Medical Education company from $250,000 in yearly revenue when she joined the company as a partner, to an annual revenue of over $28 million and conducting over 50,000 educational programs. 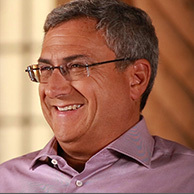 David is a great example of an entrepreneurial success story. He started an electronics company in the back of a warehouse and sold it for $96 million dollars! A corporate success story in New York City, Sharon is a woman who works as Vice President of an optical company in the male dominated field of unions, while living her personal life in the beauty of the desert mountains. Melodi is the illustration of a woman who went after a goal in her 40s and accomplished it! She was the first to bring the new concept of blow dry bars into Arizona, open stores and franchise them across the country. 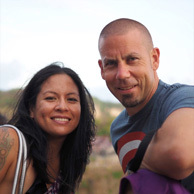 Traveling full time since January 2014, Mike & Regina replaced their multiple 6 figure incomes in the entertainment industry using the very social media marketing techniques they teach. ...so nothing you learn at VIM ELITE is theory, but ALL based in reality and actual real life and business experience. Isn't it time to develop the skills to achieve financial freedom? Lifetime Access To All Academy Courses!